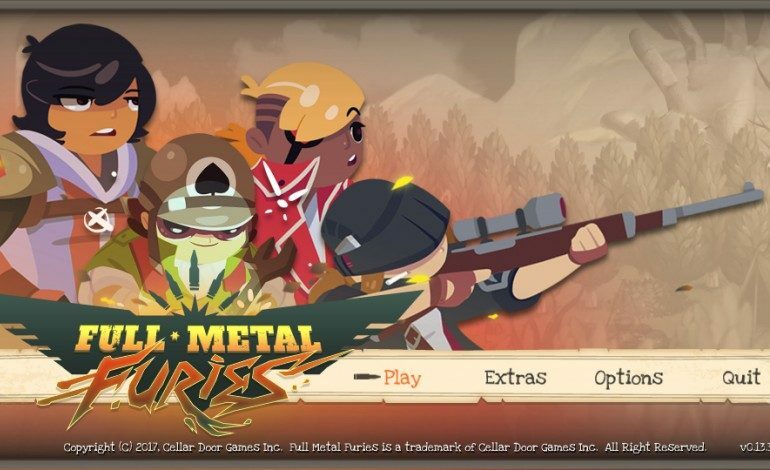 Cellar Door Games’ action-brawler RPG title Full Metal Furies has a 2018 release date for next year in addition to a new release date trailer. The developers are responsible for creating Rogue Legacy, a well-received 2D action, RPG platformer available on Xbox One and PC. Sentinel Triss: Leader of the Furies. Blocks damage with her shield. Sniper Meg: Main scout for the group. Uses her sniper rifle to shoot down and track enemies. Engineer Erin: Brains and mission finder for the group. Primarily plays a support role. Fighter Alex: Main attacker with the group that deals lots of damage with her hammer. Characters can level-up after obtaining certain items and experience, and all of their equipment can be found from blueprints located throughout the game. Frequently used equipment “can be mastered if you use it enough,” making it beneficial to collect multiple pieces and try them out. Equipment also changes core character skills which will help players determine how to structure their parties. Players have different game modes to choose from when deciding to start their journey. They can choose to work together in local and online multiplayer, where each person chooses a hero and everyone coordinates their attacks during battle. A solo mode allows a single player to pick two Furies and control them, switching between both characters during battle depending on which one is best suited for the enemies at hand. Enemies have their own style and ranges of attacks just like Furies. As seen in the trailer “special barriers protect enemies from specific damage, and you must communicate with your team to focus the right targets. These barriers remain even after a player falls, so you must be prepared to revive your allies.” Learning type match-ups for enemies is essential as they’ll continue to spawn and quickly use their attacks. Learning when to revive fallen team mates while in battle is also essential, especially when fighting larger and stronger opponents such as the giant desert scorpion hybrid and machine-gun wielding Minotaur. Full Metal Furies will be released in January 2018 for Xbox One and PC at $19.99.